Nike has revealed their latest in cleat innovation, the Nike Vapor Untouchable 3 Elite which is the first high-top Vapor cleat built for speed. 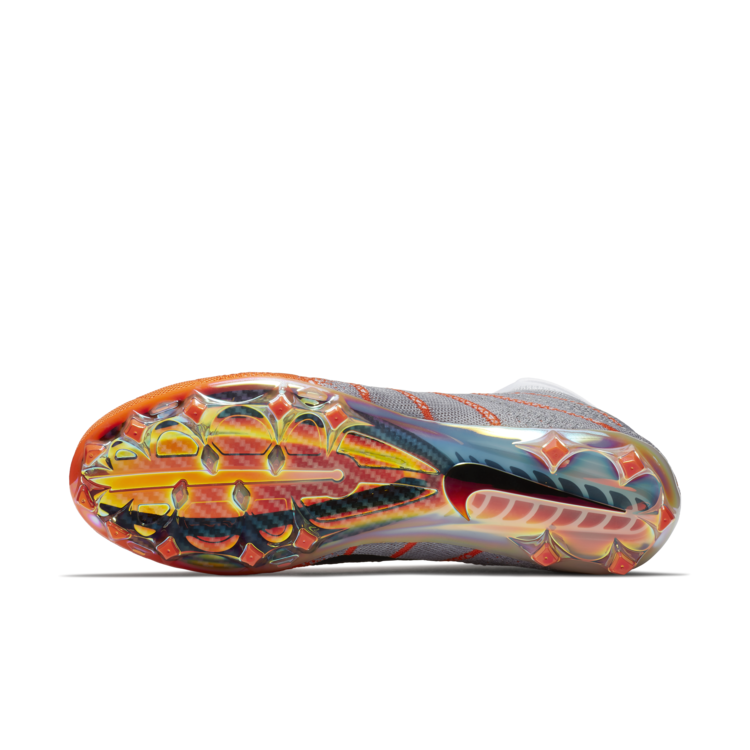 The cleat features a full Nike Flyknit upper with the inspiration coming from athletes taping their ankles. We will also see Nike adding the redesigned Vapor Untouchable 3 Pro and Vapor Untouchable 3 Speed silhouettes to the Vapor Untouchable 3 family. 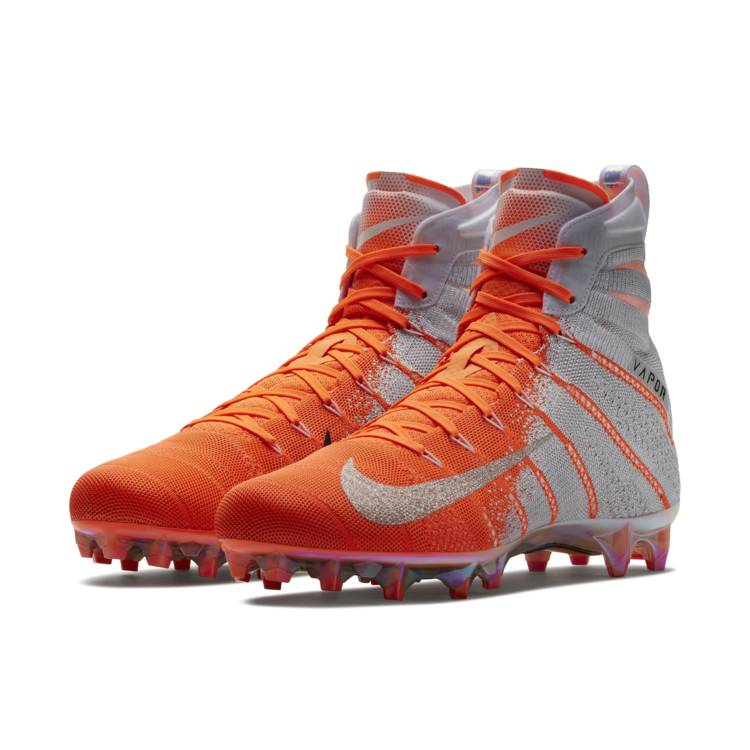 The Vapor Untouchable Pro has a circular knit cuff added for more ankle support and a one-piece textile upper that is covered by TPU skin to add comfort. The Vapor Untouchable 3 Speed is designed for the quickest athletes on the field.